The holiday season is a time for festive cheer with family and friends, but if you’re a business owner or responsible for key business functions, you'll need to remain productive over the break to ensure that those business wheels keep on turning. Many employees give up time with their loved ones over the holidays to go to the office to carry out a few essential tasks, but there’s a far better way to maintain your productivity over the holidays without having to leave your home thanks to our clever range of products. 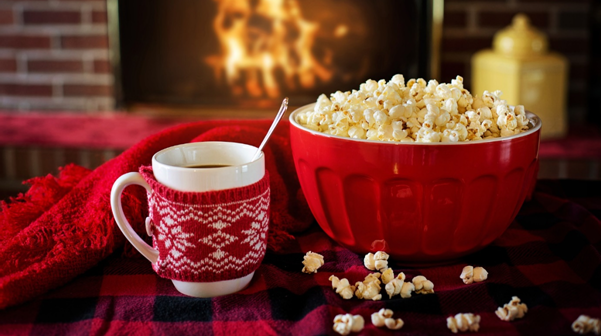 If you want to stay home watching Christmas movies, but really need to get that report over to a client or check your business emails, the ability to access your office PC from the comfort of your couch is something anyone who wants to keep on top of work without heading out into the cold can benefit from. With no downloads needed and mobile access from anywhere with an internet connection assured, you’ll be able to keep an eye on things work-wise over the holidays without having to get out of your PJs! You also won’t need to trek to the office to get an essential file or notes, as they can all be accessed from your cozy couch or home office. Take a look at our remote PC access services here for as little as just $5 a month. If you rely on the business of overseas clients who don't celebrate the holidays, then you'll still be expected to meet their demands during office shutdowns. From essential meetings to product demonstrations or critical online get-togethers with colleagues, showmypc.com gives you the ability to conduct a meeting from anywhere in the world, at any time of the day. So regardless of whether or not you're sunning yourself on a much-needed Christmas beach break or just kicking back with family at home, our remote support and meetings products give you the ability to keep in touch where ever you're spending the holidays. Find out more here. Customers will still need your support over the holidays, so you’ll need the ability to keep track of any customer service queries or help desk requests and deal with them quickly, no matter if your actual office is closed. Customers still expect a quick response on their enquiries during the holiday season, so check out our help desk support services here to help keep your customers satisfied and to safeguard against a pile of customer complaint emails once the New Year comes around.